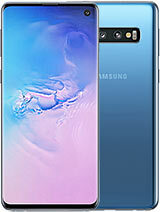 i am about to get mine(waitin for it to arrive in the mail) and i am going to purchase a data cable...neone know of a program so ic an download ringtones offmy computer onto the phone yet? well if ya findone lemmeknow please!! The Nokia 6030 is very nice .Its a good one to have it. Upgraded to this phone by necessity. Good build quality and very solid feel. However, where the hell is the volume button, and why no IR? Also, assigning the top level menu to Cingular (provider) Mall is ridiculous. I don't want it there, but there is no way to remove/customize it. This phone is good looking, good features & better sound quality. But I am shocked to learn that it have no infrared & bluetooth faclity. I can't understand that how nokia (co.) made this model without infrared facility. It is my necessity that I change the mobile but I really love it. This is my request to nokia that they add the said facility. Dear 6030 user.You can down load every thing by data cable its fantastic just go to bazar buy data cable its data cable is available and buy MobiMb Version V2.5 only v2.5 and enjoy . This is great cellular but not for Israel.Here impossible surfing Internet into the cellular.This answer laboratory Orange.Thought have done enter to site Orange like is site ordinary. Hello! Donovan here from Singapore! I used Nokia 6030 for around 6 months already! Classic phone for those seeking just a normal phone to sms and calls! Not very much High tech phone so performance quite smooth. It's a WAP site so if your 6030 has GPRS activated it can access the site. Have fun. Cheers! is there any way to turn up the volume when you're on a call besides having it on loudspeaker? The FM is mono only. Yes, the FM radio can use the loudspeaker, but you still need to connect the earphone (headset). I got one. It cost me almost nothing for a low monthly subscription. Good phone for it's target market. Low cost but not cheap. Ergonomic keypads. hi i am going to purchase it can someone tell its a good one or not????????? software name is pl 2030.. but it still it didnt work .. PLEASE HELP ...?? ?